For larger conventions, it&apos;s important to give everyone a voice. Build excitement—and attendance—for your event when you get other people talking about it. Every stakeholder with a vested interest in the success of your event can benefit from participating in the online conversations surrounding your event. This includes exhibitors, industry thought leaders, bloggers, publications, vendors, speakers, presenters, area businesses, and your organization. That&apos;s where the Visit Salt Lake Social Media Hub comes in. Everything is opt-in. People who don&apos;t wish to participate won&apos;t be bombarded with unwanted info. We build the tool for you at no charge. This service is available only for city-wide conventions. Minimal maintenance or moderation. After you invite stakeholders to participate, their content automatically flows to the hub. Greater reach for participants. For exibitors and vendors, relationships can begin well ahead of the event, and continue after. Attendee connections. Those interested in making connections with industry peers or locals can initiate conversations through social media before the event to make their time during the event more fun and productive. Your finger on the pulse. Social media is here to stay, and it makes greater in-roads every day. Connecting your event to dynamic social content lets technologically connected attendees and stakeholders know that you understand the social dynamic of the future. Conversations about your event will happen on social media whether you facilitate them or not, so take advantage of this tool and ensure you and your group are having the most productive, inclusive, and interesting conversation possible. We build the tool, incorporating your brand. We show you how to use the tool. Don&apos;t worry—it&apos;s simple. And we&apos;re there to help. You identify and invite stakeholders to participate. Are you hosting a city-wide convention in Salt Lake and interested in promoting your meeting and boosting attendance through social media? 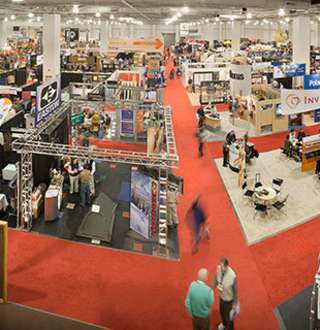 Get started by contacting your Visit Salt Lake Convention Services representative.